This is key information for both what is used in the email variables and the site information. This page is also where the distributor gets to tell their own story and upload a photo of themselves. This can be controlled by our corporate feature "compliance module" if necessary. 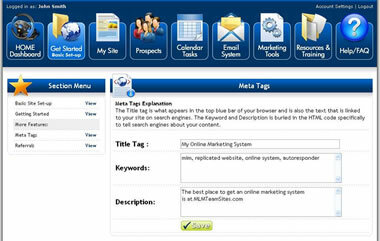 Meta tags are customized and included on each system but the user has the ability to override these default tags and use their own for targeting specific keywords and phrases. 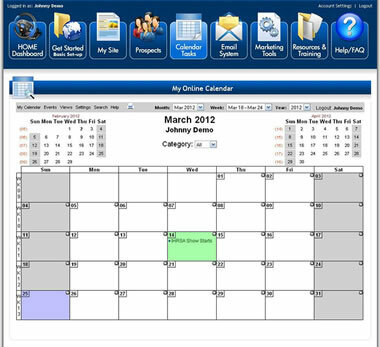 Online Calendar - An easy to use online calendar can help distributors stay on track and have a central location for all of their business activities. Easily set call reminders and important events about their business.